Dunno how good it sounds, it isn't not a well known brand or anything. But I'm sure I can put it through a few pedals and get something out of it. Pretty excited. Probably gonna put it in my studio for lunchtime jams. It has a built in speaker and headphone output as well which is useful. Looks & sounds pretty cool. Yeah, should be fun. Hopefully (if the seller reads my final message in time) I've arranged to pick it up tomorrow morning so expect a demo soon! I read that as "an inbuilt mayhem section". Looking forward to demos! That looks ace. Looking forward to the demo. Love a bit of old school organ. wow I like how it plays the bass keys in tempo with the beat. I had a whippany mel-o-sonic at one point. I love combo organs. They look rad and usually have at least one usable setting for the kind of music my band plays. Unfortunately, the experiences I have had with them is that they work great for a little while and then they never stay in tune (or just stop working all together). Would love to own a fully functional Elka Panther or a Farfisa but they are way too expensive and almost always half broken. I settled for a Roland VK-1 and am totally happy with it. Cool find! 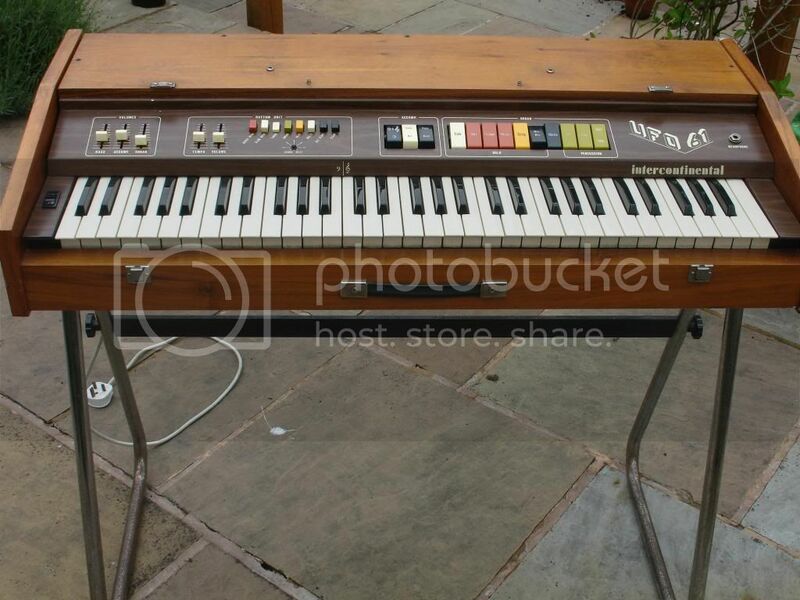 I would definitely buy another old organ if I come across a cheap one. One of my girlfriend and mine's hobbies is pickling things in cider: apricots, beef, and last week I put my organ in cider.